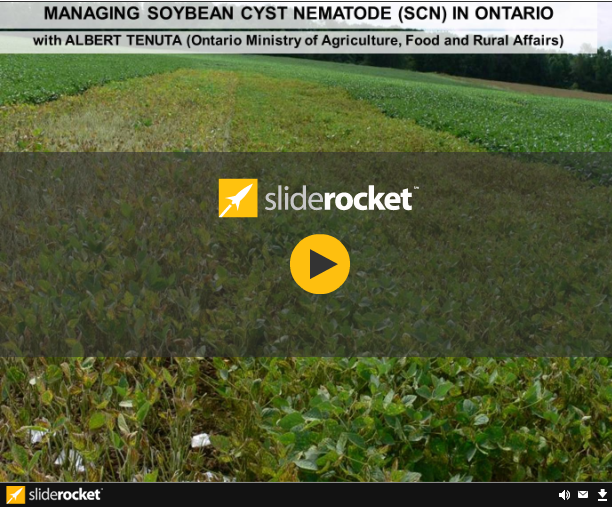 Since it was first identified in Ontario in 1988, soybean cyst nematode (SCN) has been identified in most counties west of Toronto and more recently in parts of Eastern Ontario. The disease can be managed effectively, but the first step is identification and awareness. Losses to SCN in Ontario have ranged from 5%-100%. Unfortunately, by the time SCN symptoms become visible on the plants, the producer has lost significant yield potential. 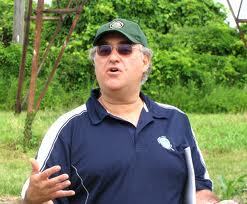 Once SCN is in a field, eradication is impossible. In the short presentation below, I demonstrate how significant yield losses from SCN can be and how effective resistant varieties are in managing it.